SAVANNAH, GA – August 8, 2017 – Location Gallery’s Aqua Vista exhibit, with proceeds benefitting Ogeechee Riverkeeper, will conclude Saturday, Aug. 12. On this day, Location Gallery will host Aqua Vista Summer Saturday for an open house exhibit of “Life on the Water” from 11 a.m.-3 p.m. at their gallery, 417 Whitaker St. in downtown Savannah. Aqua Vista 2017 is a small works show focused on “life on the water” across a variety of mediums featuring over 30 artists. Artists featured in this show include Ogeechee Riverkeeper board member Lind Hollingsworth in addition to Karen Abato, Randy Akers, Stacie Jean Albano, Anna Bliss, Lyn Bonham, Angela Burson, Bob Christian, Julia Christian, Lennie Ciliento, Becca Cook, Joy Dunigan, Manda Faye Dunigan, Christina Edwards, Kelley Hagemes, Sassy Hall, Mary Hartman, Farnaz Jahani, Cathy Jarman, Geoff Johnson, Dan Kaufman, Rubi McGrory, Robert Morris, Lara Neece, Lisa Ocampo, Jennylyn Pawelski, Juliana Peloso, Peter E. Roberts, Daniel E. Smith and Lisa D. Watson. Gallery proceeds from the Aqua Vista exhibit will be donated to Ogeechee Riverkeeper. The mission of the nonprofit organization is to protect, preserve, and improve the water quality of the Ogeechee River Basin. The organization strives to accomplish this mission through their watershed watch program, healthy waters agenda, and hometown waters education. 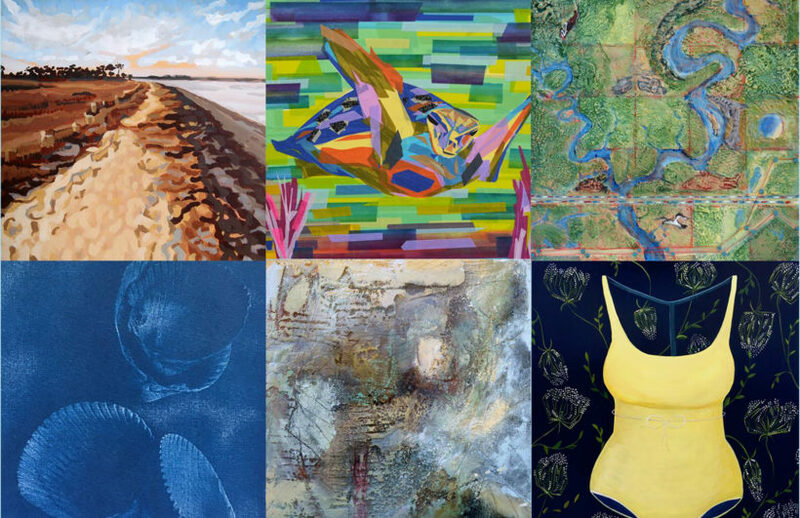 Location Gallery features group and solo art shows by local Savannah artists. Gallery profits from shows are designated to local nonprofits. The gallery aims to build a better community one art show at a time. For more information about Aqua Vista 2017 or this event, please visit www.locationgallery.net. To learn more about Ogeechee Riverkeeper, please visit www.ogeecheeriverkeeper.org.